New services and discounts are coming! 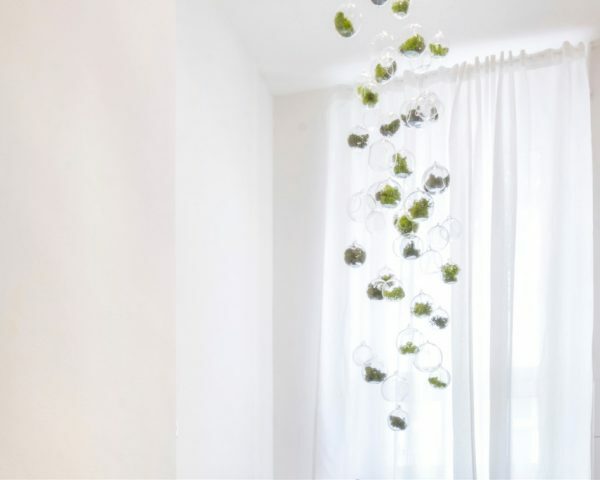 Starting from this year, TillHerbaCaeli offers to his clients the possibility to rent air plants and accessories without the need to buy them. Do you need to make a temporary installation? Do you want to create a green atmosphere for photo shootings, shop windows or parades? Would you like to host your clients in a fresh and suggestive space during your next conference? Contact us and in a few days we will send you a proper estimate with a photo project. In the meanwhile here are some images of the last work we did in Berlin for the agency Inspiration Group. In this case our aim was to decorate a kitchen with a green and original installation. – have green materials/plants which did not need a particular maintenance and could easily be placed in a room with little light. 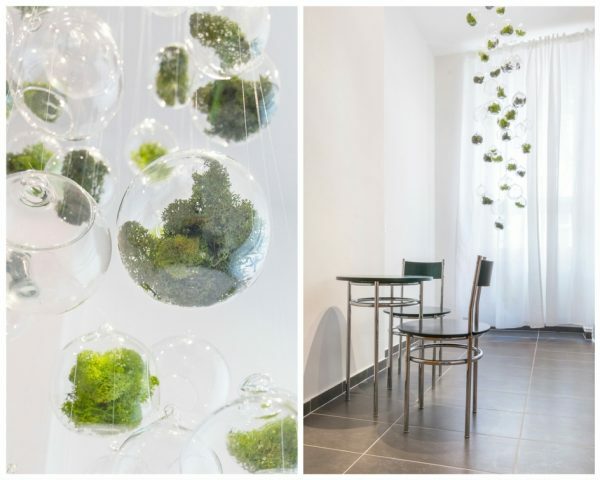 For this installation we have used a handmade metallic structure, projected by us , with 50 glass balls of different sizes plus Icelandic moss that do not need any kind of maintenance. To promote these new services, but also because we enjoy doing this job, we will offer you for all September a discount of 15% on installations, plants‘ rentals and weddings‘ decorations! Follow us!